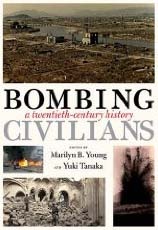 CHIASMOS: Yuki Tanaka - "Crime and Responsibility: War, Indiscriminate Bombing, and Mass Killing"
A talk by Yuki Tanaka, Professor at the Hiroshima Peace Institute. Dr. Tanaka examines the question of the criminality of the atomic bombing of Hiroshima and Nagasaki and the responsibility of American political and military leaders who were closely involved in the decision-making and execution of the order to drop the bombs. Criminality is examined in accordance with international law effective at the time that the bombs were dropped and in the light of the Charter of the Tokyo War Crimes Tribunal. The lecture also examines the history and present situation of indiscriminate aerial bombing of civilian populations. It examines how the use of this tactic started, what kind of military logic was used to justify it, and why it is still being widely sanctioned despite the fact that large numbers of civilians are repeatedly victimized in various war-torn regions of the world. It further explores how we should utilize the result of the International Peoples' Tribunal of Atomic Bombing of Hiroshima and Nagasaki to increase understanding of the fact that killing civilians is a crime against humanity, regardless of the asserted military justification.